Since Locus Map 3.24.2 these maps are available also OFFLINE in two subscription programs – monthly and annual. Maps are displayed online and you can cache them (store in temporary memory) or download them for full offline use – you can define your own map crop of the available covered area and zooms. 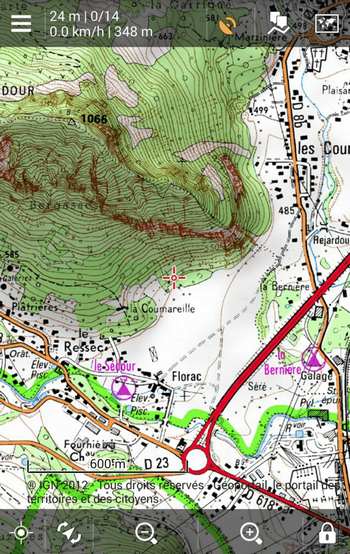 IGN topo maps are detailed and accurate with clearly rendered structure. 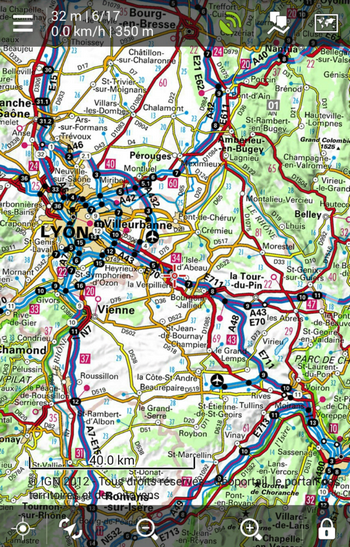 Maps contain complete tourist content including marked hiking and cycling trails and are available in several zooms down to 1:25.000. Let’s go, the summer hiking season in France just begins! i am from Bangladesh, The Bangladeh Government wants to Locus map views system, if you Done this systems, please cotuct us,. we r also a software company in Bangladeh. 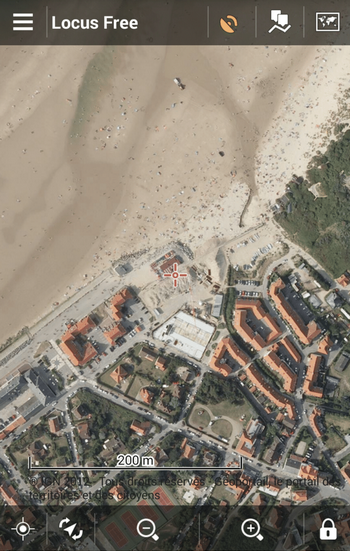 If you are interested in cooperation please contact us at help.locusmap.eu. I’ve been using locus for a long time and IGN maps was the only thing missing in France ! When you take in consideration the fact that most of these maps have not been updated in the past ten yeats or mlre, this is NOT a good deal. IGN is probably the best map source in France. I also have other map sources in locus but always go back to IGN. So price is OK. Thanks locus for the really good work with the app. Hi, do you have any proof of your statement? 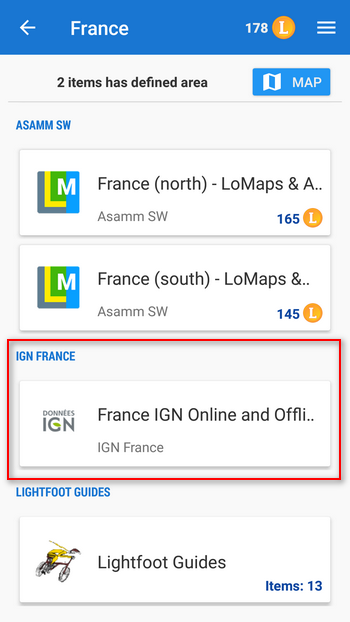 We do not so we are happy to have IGN maps in our offline portfolio. And 1299 LoCoins/year? 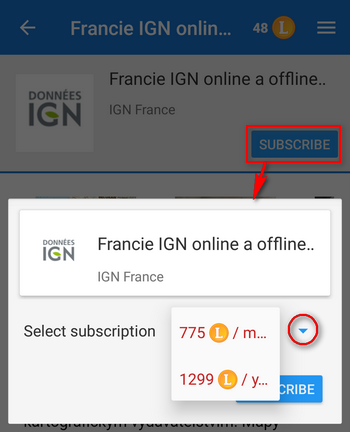 Its some €15… For a whole France in offline mode quite a bargain.